Stay so hungry, you never stop eating is the LetlerFit motto. It is a way of life, a way of being, a way of going after what you want. Do you live the LetlerFit Way? Here are 5 characteristics of someone who does! Cellulite, many of us know about it, many of us see it on ourselves or other people, many of us try to get rid of while some succeed and some fail. Cellulite does not discriminate, teens and adults alike are susceptible to having it. Skinny individuals sometimes may even have more than what our horribly plastic society considers “fat” individuals.The bottom line…it’s NOT cute! so what exactly is it? Why does it form? How can we prevent it? Can we get rid of it? persistent subcutaneous fat causing dimpling of the skin, especially on women’s hips and thighs. Not in technical use. Genetics: Before moving on to the next cause I wanted to state that genetics may predispose you to the tendency of developing cellulite, BUT it does NOT mean you WILL get and it’s not something that can be prevented or go away. So what does work? Exercise, water, proper diet. The goal is to decrease the size of your own individual fat cells. This topic was suggested to me by one of my clients. Totally wishing I would have thought to cover my opinions on his topic sooner, as I think setting realistic goals is key in anyone’s fitness journey. Far too often I get emails from followers saying they want to drop 50-100 pounds ASAP. Wanting to lose 50-100 pounds is a great long term goal. Where I like to start is short term weekly goes. For example, why does someone need to lose that much weight? What habits did they create that made them gain so much excess weight? I am a huge follower of the baby steps principle. I absolutely HATE when “fitness and health professionals” put people on ridiculously restrictive diets. Sure they might restrict themselves for ,maybe a week but then it all hits the fans. Binging is what we want to AVOID as we should be trying to promote a lifestyle change. The other day I got an email from someone who was confused because they bought a nutrition program from someone and all it included was a “No No” list. -Today I will have veggies at every meal. -This week I will lose .5-1 pound. -This week I will go from exercising zero times a week to 1-2 times a week. Which helps you meet your annual fitness goals. If there is one take home phrase I would love for “baby steps” to stick with you. Don;y focus on bad decisions, focus on all of the good decisions. We are now 10 days into 2016, and some people are holding strong to their resolutions, some are losing focus, and others have already given up. Last year I can personally say I was happy to have completed 75% of my 2015 goals. That’s right, goals. I hate using the word resolution. There’s really no power behind the word other than “resolving” a problem. Usually when resolving problems people relate it to quickly solving a problem, finding a one step solution to the problem. Goals in my opinion is a word that you can put much more meaning behind. There are short and long term goals, some require more or less action steps then others, but if you carefully plan out your goals with mini milestones suddenly they become much more achievable. Quick disclaimer: The following is a set of generic examples and does not include every single resolution out their or the exact steps you need to take to achieve your resolution, or how I prefer, your goal! This is 100% my opinion/advice. I am also fully aware these are only a generic 4 goals out of the millions you can make for yourself. My goal for this blog is to inspire you to create the necessary action steps needed to reach all of your 2016 goals. So let me start with my first example: “This year I am going to double my income.” If you work for someone, have you thought about what you have to change in terms of work ethic and value that you are bringing to the table in order for your boss to even want to consider doubling your income? If so, have you set weekly/monthly goals for those steps? Do you run your own business? If so, what are you going to COMMIT to doing differently this year? Have you made your weekly/monthly goals? On to my next example: “This year I am going to start saving/save more money.” If you didn’t save last year because of a personal problem like medical issues, job issues, whatever it is. It’s a good thing this year you get a fresh start! If you didn’t get a chance to start saving because you value the $2,000 rolex more than you value your savings account, well that sounds like a priority problems. Look at your expenses from last year and honestly evaluate where you think you overspent or unnecessarily spent and start from there! Instead of spending you money there invest it elsewhere or save up so you can reinvest that money into something that will give you a return. Third example and fourth example combined: “This year I am going to lose 20 pounds.” “This year I am going to stop eating chocolate.” Analyze you’re eating habits from last year. Do you just constantly make unhealthy choices, are you a binge dieter, are you an anxious eater? First things first, be 100% authentic with yourself about why you could not reach your fitness goals last year or why you had to make this years fitness goals. Secondly, if you’re going on a “diet” do yourself a favor and remove that word from your vocabulary. Diets are temporary, lifestyle is forever. Instead of overwhelming yourself with trying to go 100% into the healthy eating I recommend making small changes. The following are a few examples. Switch that bag of chips for an apple with nut butter. Again, there are many ways for your to slowly transition into a healthier lifestyle as it usually does not happen over night. Those are just 6 quick suggestions. Certification goals to further my knowledge and accred ability while I am working towards my BS in Exercise Science with a minor in nutrition and MS In Nutrition and Dietetics. I get 2 sheets of paper and write down every single goal that applies to each category and then tack the 2 papers next to the door in my room so that every day I am reminded about my goals. In my agenda (Im old school) I have my weekly and monthly goals. At the end of each month I analyze what worked, what didn’t work, how I did compared to my goals, if I surpassed my goals, and then I adjust next months goals accordingly. I do the same thing at the end of every year and thats how I make my goals for the following year. Now go and crush those 2016 GOALS! I wish you the most successful of years! Don’t forget to follow me on social media! If you are interested in checking out my client results or my apparel, another reason to follow me on my account! You have been working hard all year! Did you reach your goals? If so, don’t deny yourself the foods that are out because of the holidays. It’s ok to enjoy them. LIVE A LITTLE!! Keep one thing constant. If you choose to be a crazy maniac with your diet, then it’s ok to skip out on the exercise to enjoy time with your family or get the house ready for holiday festivities. If you choose to be a glutten like me, keep your workouts consistent. Don’t go out of your way to pig out, but if you’re presented with he opportunity I recommend a 50/50 plate. 50% healthy, 50% indulgence. This is the time of year where I go from 75% clean 25% not so clean to 60% clean and 40% not so clean. The worst thing you can do is feel guilty about what you eat. My philosophy is, if it’s going to make you feel guilty, make you feel like you have to burn off every calorie you just ate, then don’t eat. It’s not worth driving yourself mad. Don’t have a next year mentality. It’s a lifestyle for a reason. It’s ok to indulge the way its ok to choose to eat healthy. Simply go back to choosing a greater majority of health foods once the festivities are over. If you are far from your 2015 fitness goals the way I was in 2014, pick 2 days of indulgence instead of maybe 4 days of glutteny. But don’t deprive yourself either, it leads to a greater binge in the new year. Hope my tips help! Enjoy the holidays, the food, the extra family time! Teas: Do they really burn fat? These days we live in a world full of detox teas and miracle fat burning teas, but is there any actual truth behind it? In this post I am going to briefly highlight the health benefits of Black, green, oolong, pekoe, camomille, lemon grass, white, and ginger tea. Are these the only teas available on the market? Most definitely not, there are SOOOOOO many, but I chose these simply because I see them pop up most often. At the end I will be sharing with you guys the tea that I drink and why. Black Tea: It is one of the highest caffeinated teas (the reason for your energy and focus going up), it reduces plaque formation because it contains polyphenols that kill cavity causing bacteria. It is an antioxidant (detoxifies). Amino acid L-theanine helps you relax and focus. It contributes to bone health and it contains alkyl amine antigens that help boost your immune system. Green Tea: It is an antioxidant, it contains caffeine, which contributes to the claims of tea giving energy and detoxifying the body. Because it increases your metabolism (mainly because of the caffeine) it is said to be a fat burner because a faster metabolism burns through energy (all food is converted into energy–some give you energy and some don’t) quicker. Green tea is also good for oral health for the same reason black tea is. Oolong Tea: Is also rich in antioxidants, contains vitamins (A,B,C,E,K) and Minerals (Folic Acid, niacin, other detoxifying alkaloids). Oolong tea activates certain enzymes in your body that help your body metabolize fat as well as contributes to skin and bone health. Lemon Grass Tea: Is a killer source of vitamin A and C, folate, folic acid, magnesium,, zinc, copper, iron, potassium, phosphorus, calcium, and manganese. It is also great for healthy skin and digestion because of its cleansing and detoxifying benefits (antioxidants). Breast feeding moms can drink lemon grass tea to produce more milk (galactagogue properties), but it is said that during pregnancy lemon grass tea should be avoided. White Tea: Contains the same antioxidants as green tea, but in larger quantity. It also protects the skin from the harmful effects of UV rays. Ginger Tea: Contains high levels of vitamin C and magnesium. It is great for relieving nausea and is good for digestive health. It is an anti-inflammatory and contains vitamins and minerals that improves blood circulation. Women can drink ginger tea to help relieve menstrual cramps. When I drink my tea for the most part, unless I am looking to relax, my goal is to put antioxidants in me to help cleanse and detoxify my body. I am also looking for an energy/metabolism boost so I look for caffeine. I drink my tea with aloe vera for added digestive health benefits. The cool thing about my tea is that it contains black tea, oolong tea, pekoe tea, AND green tea! Which, as you already ready contain a plethora of health benefits. P.S. I apologize for going ghost yet again, it is ALWAYS for a good reason I promise! I just released my healthy snack and clean cheat ebook yesterday! It is available internationally and contains 25 recipes (variety of vegan, vegetarian, meat eaters get 2 recipes, gluten free, and dairy free recipes!) Heres the link to go and check it out! it,s only $2.99! As discussed in my previous post, the food labeling industry has all sorts of labels without offering explanations. 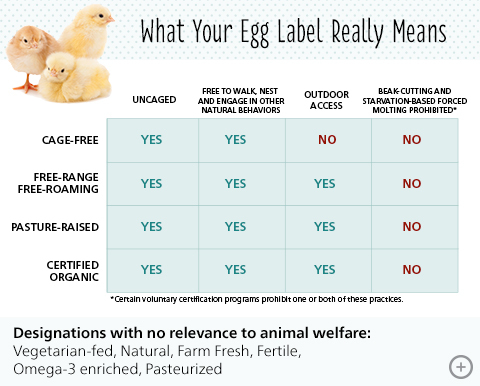 We go to the store and see organic, grass-fed, cage free, free range, wild caught labels, but many of us don’t exactly know what they all mean. Because organic labeling was already discussed, today I will be touching up on grass-fed meats, Free Range/Cage Free eggs, and wild caught fish vs their counterpart. Wild caught fish are simply fish that are found and caught in the wild. Compared to farm raised fish they are a more natural source of omega 3s, have more calcium, iron, zinc, and potassium. They also contain less fat and depending on the type of wild caught fish, they may also have less calories. Farm raised fish are fed unnatural diets, including antibiotics to combat the diseases many of them obtain because of their enclosed, dirty environment. The pink in farm raised salmon, for example is an artificial coloring. Grass-fed meats come from pastor that was fed their natural diet of grass and contain more omega 3s, less fat, more vitamin E and conjugated linoleum acid (CLA) compared to conventional meats that are filled with steroids and pesticides. PLEASE NOTE: Grass-fed meat is not the same as organic meat as organic meat can come from animals fed a grain diet (better than steroids, but not as clean as grass-fed meat). Eggs are in my opinion one of the most complicated because you can have free range, cage free, vegetarian fed, or omega enriched eggs, and they do not necessarily mean the same thing. vegetarian fed hens, while their diet is clean, their environment may not be. Below is a useful chart that helps you understand the labeling. conventional eggs for the most part come from hens that are not only fed unnatural diets, but are also kept in horrid living conditions. Wether your an animal lover, health nut, or curious about what the different labels actually mean, the choice is up to you!